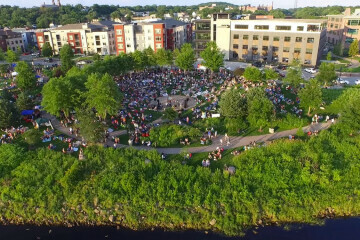 This 5-acre park located near downtown on the Chippewa River and the Chippewa River Trail System with access from Madison Street near the RCU campus. This park offers the Farmers Market during the summer season, and rental of the pavilion and amphitheater. And will feature the Concert in the Park Series on Thursday evenings at 5:00.